EPA for violating lead safety rules. Chip and Joanna Gaines, hosts of HGTV's Fixer Upper, were fined $40,000 by the Environmental Protection Agency (EPA) for lead paint safety violations. EPA found that in 33 of their home renovations, the duo did not employ appropriate lead paint protections and violated the Renovation, Repair and Painting (RRP) Rule. The hit show featured the designs and renovations of Magnolia Homes, the Gaines' company. Often, Magnolia Homes would revamp old, outdated homes into modern masterpieces. However, old homes - especially those built before 1978 - are more likely to contain lead-based paint. When this lead-based paint is disturbed, the dust and chips can circulate toxic lead particles into the air, soil and water. Lead exposure is linked to various health defects, including cognitive delays. As a result, special precautions must be taken by renovators who work on these sites- or else they can face thousands of dollars in fines for exposing others to lead. As part of a settlement with EPA, Magnolia Homes agreed to pay $40,000 in civil fines and another $160,000 toward clearing homes and child-occupied facilities of lead paint in their hometown of Waco, Texas. 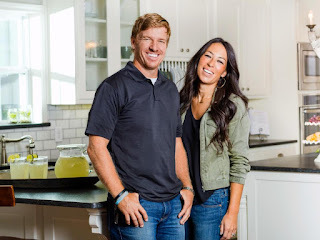 Magnolia Homes must also use their platform to educate the public about lead-based paint hazards; Chip Gaines is set to star in an educational video on lead safety. EPA reported that Magnolia Homes has since taken immediate steps to ensure compliance by becoming an EPA certified firm, obtaining lead renovator certification for staff, and bringing its current projects into compliance. To read the settlement in full, visit EPA. To learn more about lead renovation and how you can avoid fines, visit Zack Academy's lead renovator homepage.